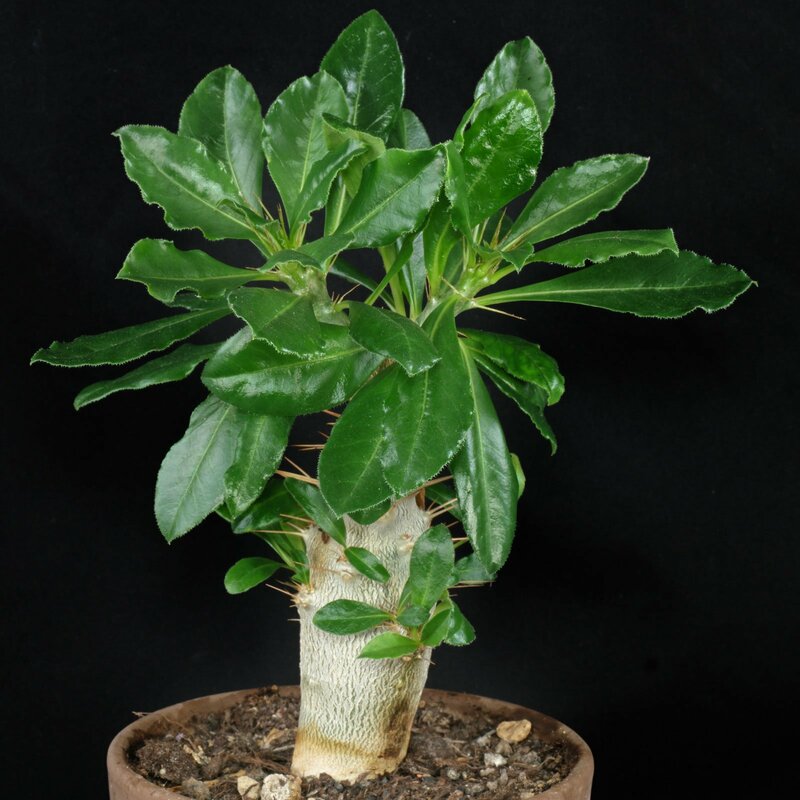 Pachypodium saundersii likes to be placed in partial to full sun with a minimum of 3 hours direct sunlight per day. Summer afternoon sun is welcome. Let the soil dry between the waterings. 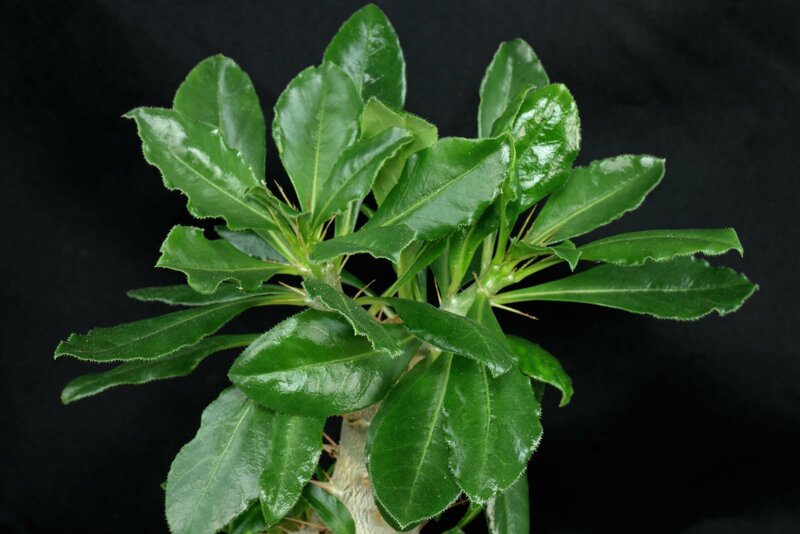 Water sparingly if placed somewhat cooler during winter or if Pachypodium saundersii has dropped its leaves in fall. Feed from spring to fall with standard liquid fertilizer (every 4th to 8th week), spikes or granules (2 to 3 monthly). 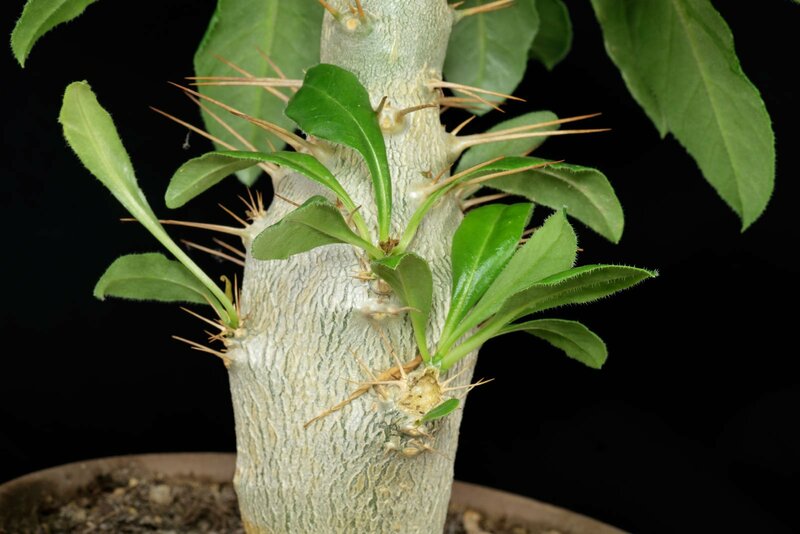 Pachypodium saundersii can be grown warm the year round. A winter rest period at about 15 °C (59 °F) is also fine. Minimum temperature is 10 °C (50 °F). From spring to summer. Cut carefully because contact with the plant sap can cause skin irritation. 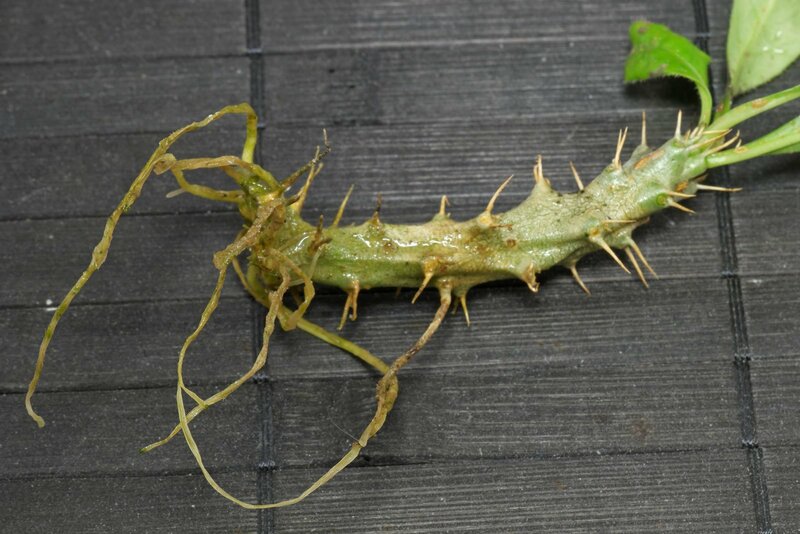 At about 25 °C (77 °F) cuttings will root in 4 to 8 weeks.